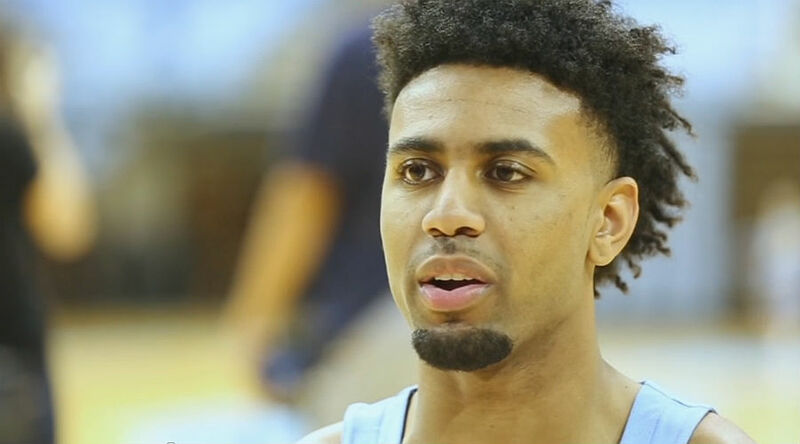 CHAPEL HILL – Joel Berry II scored 20 points and led six North Carolina players in double figures and the sixth-ranked Tar Heels defeated UNC Pembroke 124-63 in a men’s college basketball preseason game Friday night at the Dean E. Smith Center. Berry II, who was named in the All-Atlantic Coast Conference preseason first-team, shot 5 of 6 from the field overall, including 3 for 3 from long range, while dishing out six assists and has four steals in 22 minutes. Junior guard Justin Jackson had 16 points, seven assists and four rebounds, senior forward Isaiah Hicks ended with 16 points and five boards, while Luke Maye added 15 points, eight boards, five assists and two steals in the win for North Carolina. The Tar Heels, who made 23 of 32 shots from the floor in the first half, finished the game shooting 65.7 percent after going 44 of 67 overall. Kennedy Meeks added 11 points and Kenny Williams contributed 10 for the Tar Heels, who held UNC Pembroke to just 26.3 percent shooting. Freshman Tony Bradley grabbed eight rebounds and a game-high four block shots for the ACC powerhouses. Nigel Grant scored 11 points and seven rebounds and Andrew Evans ended with 10 points to lead the way for UNC Pembroke in the defeat. North Carolina opens its 2016-17 men’s college basketball regular-season campaign on Nov. 11 against Tulane in New Orleans. Despite his team’s dominance Tar Heels experienced head coach Roy Williams wasn’t totally happy with some of the rebounding efforts. The Braves had four rebounds less than North Carolina, but outrebounded the home side 30-11 on the offensive glass. “Well, it was an unusual game. They missed a lot of shots and got 30 offensive rebounds – we don’t like that,” coach Williams said. “Steve (Kirschner) says it’s the most offensive rebounds we’ve given up in 14 years. We shot a good percentage, got off to a good start offensively and then were able to run the ball.